All Individual Sizes of our clear and ingeniously designed pods. The title says it all. 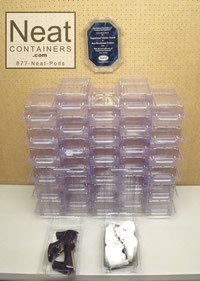 Choose from each of our individual container sizes to make your own kit or get the right amount you need.